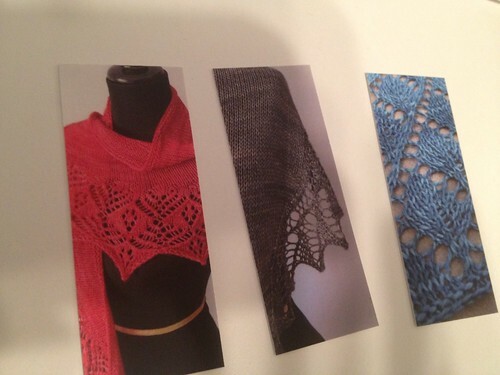 Recently, I was able to get my hands on a review copy of Knit Red, a new book from Sixth & Spring. It contains 30 patterns from well-known designers and the whole book is to raise awareness about hear disease in women. 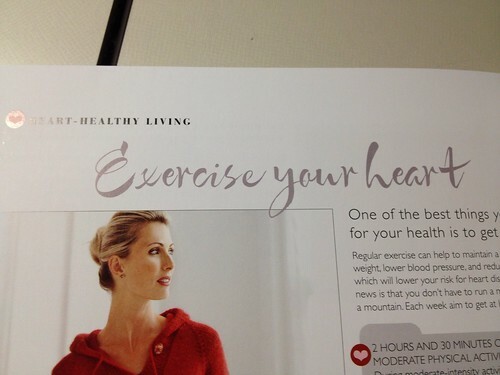 The book not only contains patterns, but also tips and recipes for heart-healthy living. The patterns in this book are absolutely stunning. Lots of lace and texture. 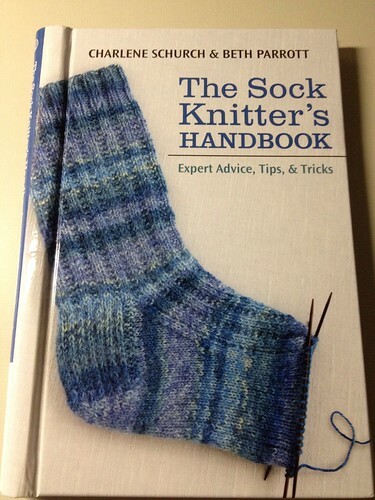 Every knitter can find something they want to knit in this book! I mean, seriously. 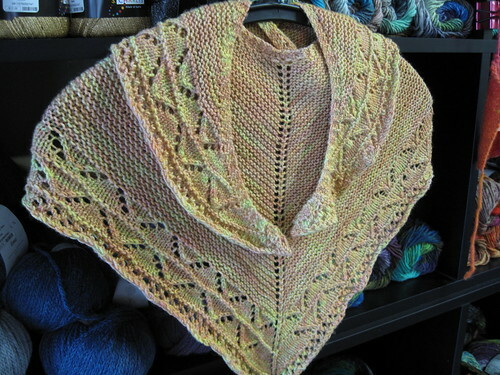 That shawl is amazing. 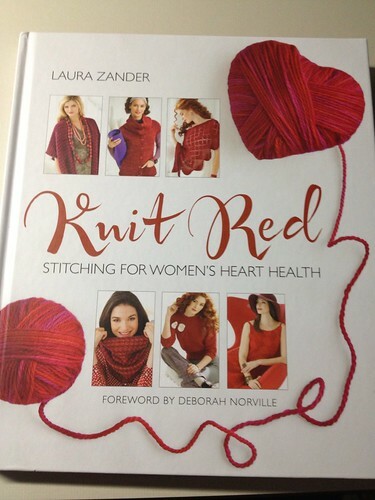 Knit Red retails for $19.95 and a portion of the proceeds for to benefit The Heart Truth, which is a campaign to raise awareness about hear disease in women. Everyone should go get this book. Now. It's amazing! Want to see the other patterns in this book? 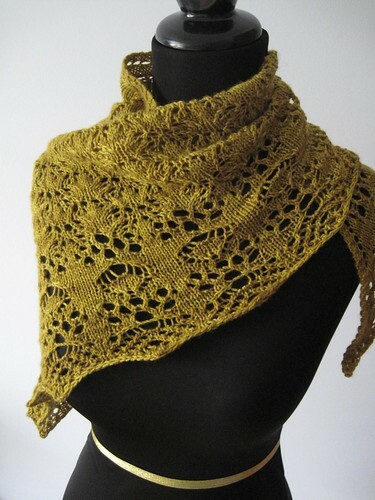 Check it out on Ravelry here. It's time for another book review! This week, it's Knitting Brioche-Stitch Socks by Barbara Sander. 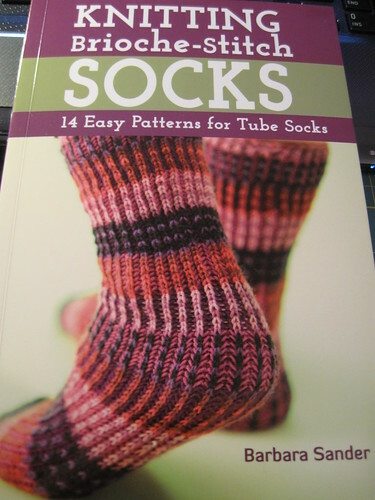 As the title would suggest, it's a whole book of sock patterns using the Brioche stitch. 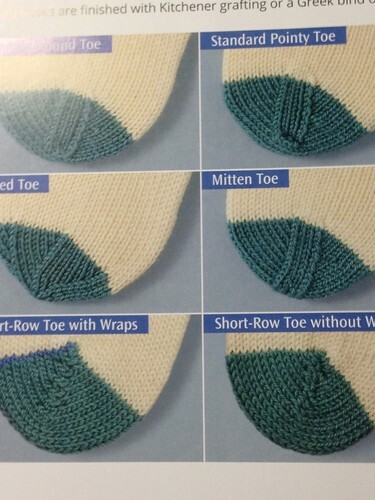 Admittedly, I don't know anything about the Brioche stitch. 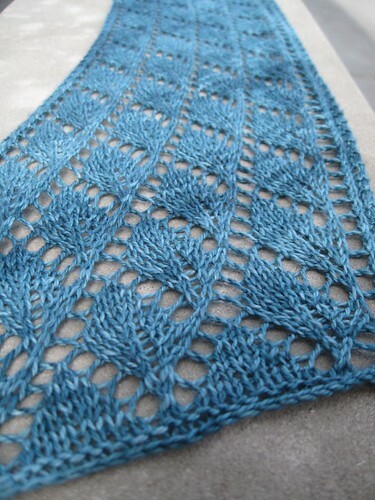 Not to worry...there are some basic instructions for knitting the Brioche stitch in the round at the start of the book! The book contains 14 patterns. It has patterns using multiple colors as well as different textures. 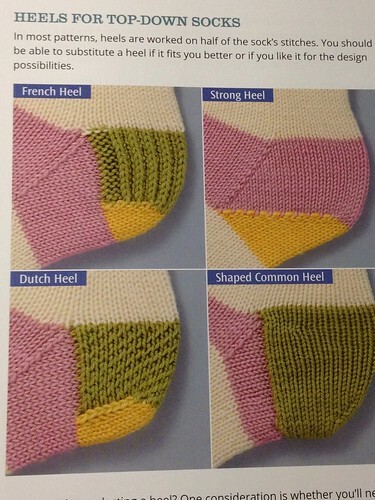 What I thought was very interesting is that you don't knit a traditional heel with these socks. I'm not sure that these would be the best fitting socks you've ever worn, but the technique is certainly intriguing. 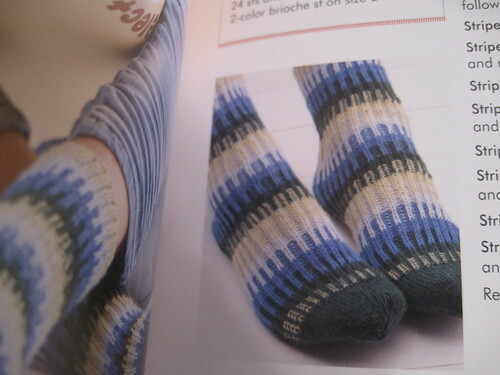 Knitting Brioche-Stitch Socks is published by Martingale & Company. 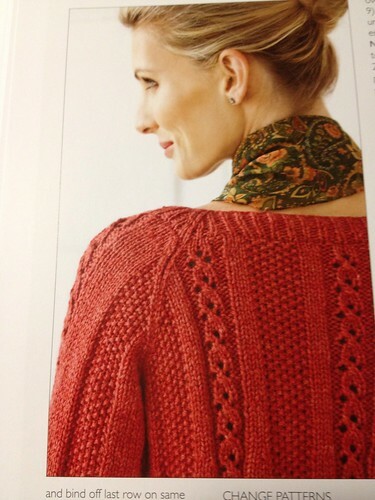 To see all the patterns in the book, check it out on Ravelry. Want my review copy? Just leave a comment on this post (leave an email address of Rav id, so I can find you should you win) between now and 9/13. I will pick a random winner! This month at Fuzzy Wuzzy, I am hosting a Kollage knitalong using one of the Feed Your Creativity Kits. It's Irishgirlieknits' Keegan Baby Hat and Socks! 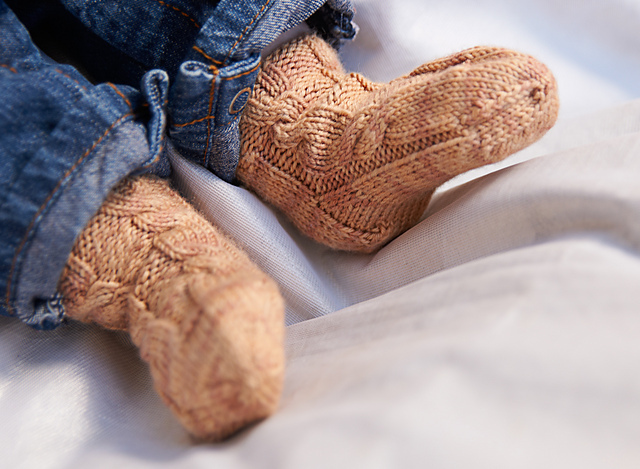 The first week we will be working on the wee baby socks. 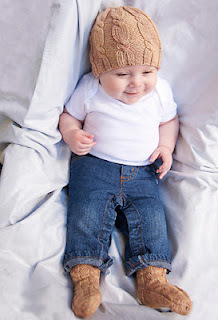 The second week we will continue work on the socks and work on the hat too! Kits are $28.50 and each class is $10. 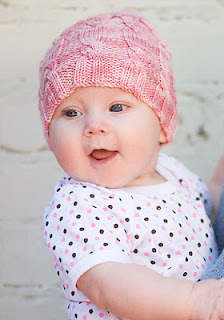 We will be knitting along on 9/5 and 9/12 from 6-8pm. 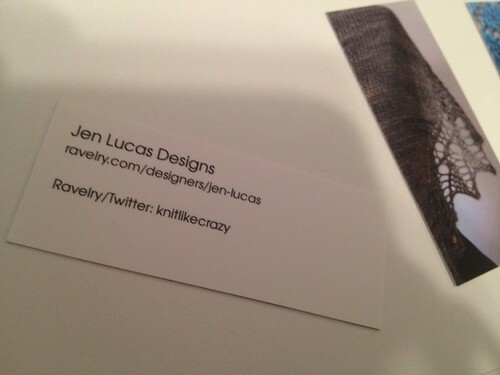 Photos courtesy of Kollage Yarns.